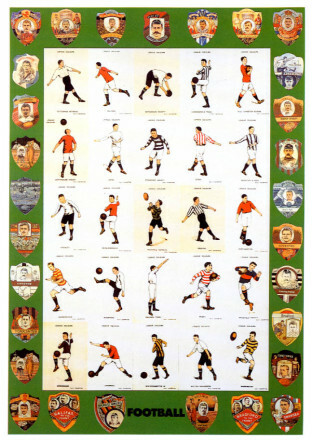 F FOR FOOTBALL 1991 Sir Peter Blake (1932 – )	P5982 © Peter Blake. All rights reserved, DACS 2018. 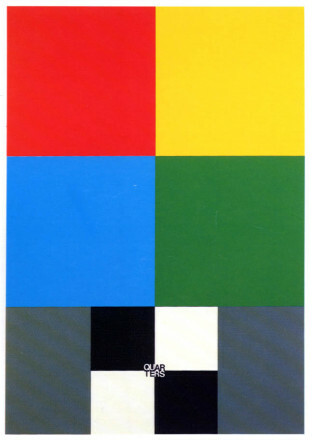 Q FOR QUARTERS 1991 Sir Peter Blake (1932 – )	P5993 © Peter Blake. All rights reserved, DACS 2018. 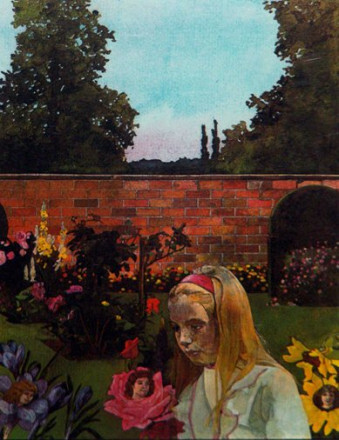 IT ISN'T MANNERS FOR US TO BEGIN YOU KNOW 1970 Sir Peter Blake (1932 – )	P2054 © Peter Blake. All rights reserved, DACS 2018. 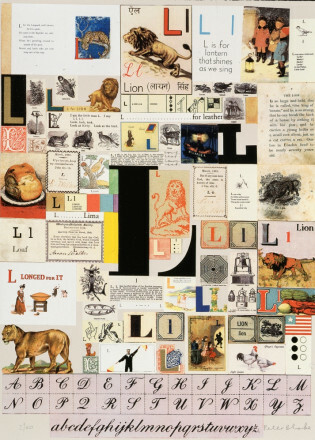 THE LETTER 'L' 2007 Sir Peter Blake (1932 – )	P8062 © Peter Blake. All rights reserved, DACS 2018. 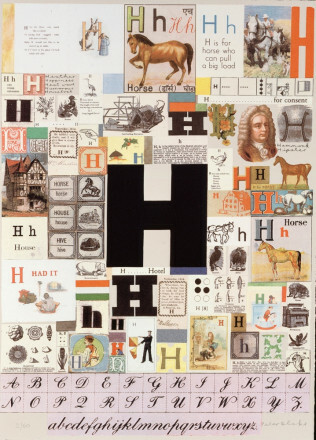 THE LETTER 'H' 2007 Sir Peter Blake (1932 – )	P8058 © Peter Blake. All rights reserved, DACS 2018. 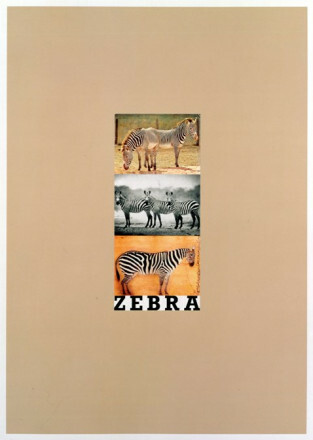 Z FOR ZEBRA 1991 Sir Peter Blake (1932 – )	P6002 © Peter Blake. All rights reserved, DACS 2018. 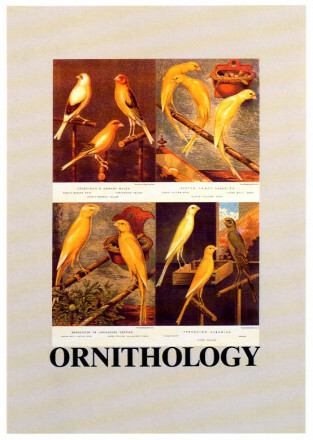 O FOR ORNITHOLOGY 1991 Sir Peter Blake (1932 – )	P5991 © Peter Blake. All rights reserved, DACS 2018. BABE RAINBOW 1967 Sir Peter Blake (1932 – )	P7269 © Peter Blake. All rights reserved, DACS 2018. BERTRAM MILLS 1961 Sir Peter Blake (1932 – )	P1739 © Peter Blake. All rights reserved, DACS 2018. 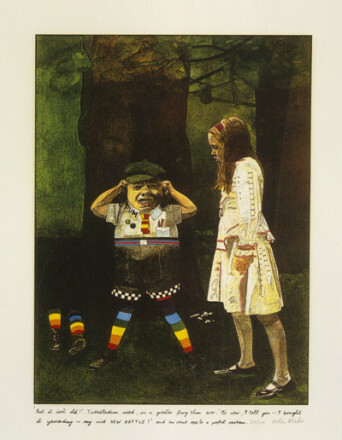 BUT IT ISN'T ODD TWEEDLEDUM CRIED 1971 Sir Peter Blake (1932 – )	P1516 © Peter Blake. All rights reserved, DACS 2018. Peter Blake was born in Dartford, Kent and studied at Gravesend Technical College and Art School. After National Service with the Royal Air Force (RAF) he studied painting at the Royal College of Art in London. He was awarded a travelling scholarship to study popular art and visited Holland, Spain, Belgium, France and Italy. 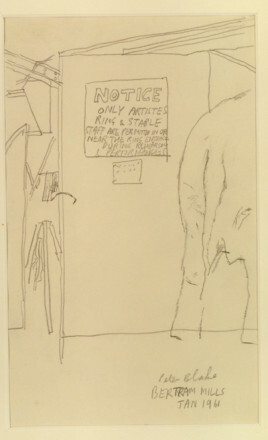 Blake had his first solo exhibition in 1962 at the Portal Gallery in London. A meeting with The Beatles led to a commission to design the album cover for Sgt. Pepper’s Lonely Hearts Club Band in 1967; he later designed the poster for the Live Aid concert, the world’s largest ever multi-national pop event held in aid of African famine relief, and in 1995 designed the cover for Paul Weller’s Stanley Road album. He was awarded an Honorary Doctorate from the Royal College of Art, elected a Royal Academician in 1981 and knighted in 2002.